SALE: 10% off on all orders. NOTE: We have several vendors on sale now at 30% and MORE off. Click below for details. SEARCH TIPS: Two or more words produce better results; to streamline, use exact quotes i.e. 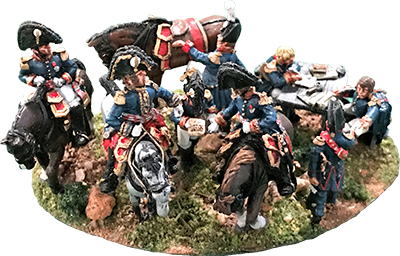 "Fusilier Drummer"
Triangle Miniatures is your American distributor for Front Rank, Elite and Calpe Miniatures/Figurines. We also stock Perry Miniatures. Each company specializes in the design and manufacture of high quality war games figures and collectors figurines. We also offer Brigade Uniform Plate and GMB Flags. We pride ourselves on distributing only high quality workmanship with attention to detail when packing and dispatching orders to our customers. At Triangle Miniatures we do appreciate how important price is, so to make buying easier on your pocket we offer money saving Special Deal Packs. We also recognize that flexibility is required so we also sell figures individually. Right now our site is in the implementation stage and some links may not work. We hope you enjoy viewing and navigating our website.